Steven (Chicagoland, United States) on 17 May 2010 in Architecture and Portfolio. One of my first photos that I captured in Washington, DC before even getting out of the vehicle. 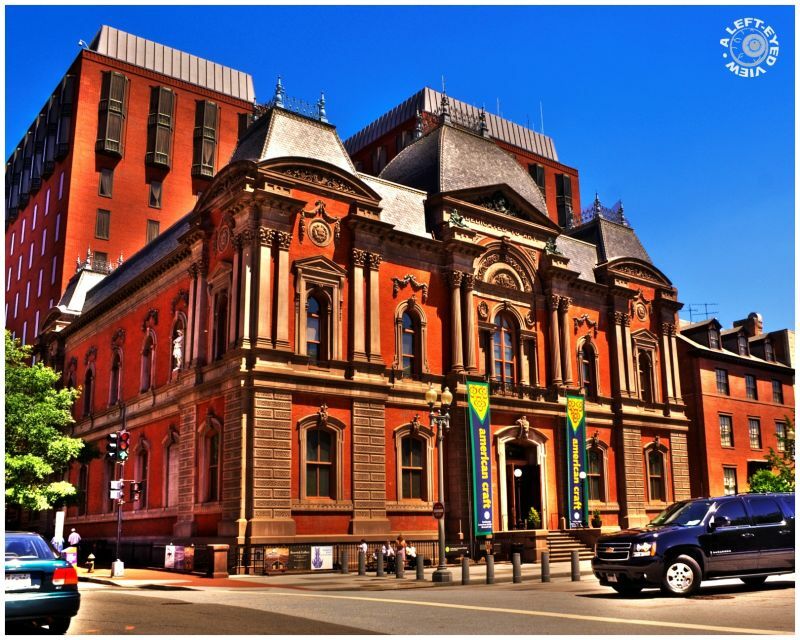 Pictured here is the Renwick Gallery of the Smithsonian Institute. In 1972, the Renwick Gallery became part of the Smithsonian American Art Museum’s craft and decorative arts program. Named for the architect James Renwick who completed this masterpiece of a building, it was started in 1859 and finished in 1874. This gem of a museum features one of the finest collections of American craft in the United States. Its collections, exhibition program and publications highlight the best craft objects and decorative arts from the 19th century to the present. One-of-a-kind pieces created from clay, fiber, glass, metal, and wood from American Art’s permanent collection of contemporary craft are displayed on a rotating basis in the second-floor galleries. I second Alun. A great palace and landmark, supported by a vibrant red. You make it shine, looks great! Impressive building, I'm looking forward to seeing some other views of it. A beautiful building. The colors are so nice. Wonderful . Great processing and strong orange ! I love this one... it's the color. Love the roof lines on this one. The pillars on the wall [not sure what they are called] the window arches.. all of it is great. The treatment brings out the ornate detail making the colors kind of whimsical. Smithsonian is a place I'd enjoy seeing.